The legacy of well-known Hunter psychologist, educator and former Chancellor of the University, Professor Trevor Waring AM will be honoured at a special free public lecture in Newcastle on Thursday. Held through a partnership between Everymind, Hunter New England Local Health District and the University, the Inaugural Trevor Waring Memorial Lecture is a tribute to Professor Waring’s work in mental health and suicide prevention locally and nationally. Current Everymind Director, Jaelea Skehan said the Institute’s founding director was highly regarded not only for his work nationally, but the significant contribution he made to the health service, university and the Hunter community. “The Trevor Waring Memorial Lecture acknowledges the significant roles Trevor Waring played in mental health and suicide prevention, and the enduring contribution he made to the partnering organisations and the broader community across the Hunter,” Ms Skehan said. “Trevor was a mentor to me and many others across our region. He was someone who invested in people, sharing his knowledge with clinicians, researchers, health and community workers, workplaces, families and members of the community,” she said. 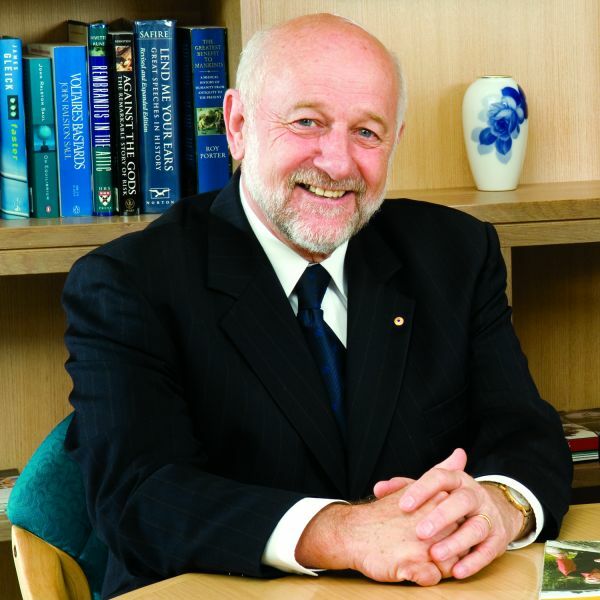 University of Newcastle Acting Deputy Vice-Chancellor (Research and Innovation), Professor Brian Kelly, said the lecture was a fitting tribute to Professor Waring, whose affiliation with the university spanned five decades, including service as Chancellor from 2004 to 2012. “The commitment and dedication he had to his work and the local community was remarkable. Trevor Waring was an authentic leader and someone who was well respected in his field, as well as among university staff and students,” Professor Kelly said. “We are proud to be supporting this series of educative events and believe it is through this, and the work that is currently underway in mental health and suicide prevention, that his legacy will continue to drive progress in both the Hunter and around the country,” he said. The Memorial Lecture is part of the annual Expert in Residence Series, which brings an international expert to the Hunter for a range of workshops, talks and meetings aimed at building capacity among health professionals, researchers, businesses and the public. Ms Skehan said this year’s series would run from 12 to 16 November and features renowned suicide prevention researcher and psychologist, Professor Rory O’Connor from the University of Glasgow. “Professor Rory O’Connor is a well-respected researcher, clinician and suicide prevention advocate and has demonstrated a keen commitment to sharing his knowledge, collaborating with others and building the next generation of suicidologists. This makes him an excellent choice for our inaugural Trevor Waring Expert in Residence,” Ms Skehan said. “Local health agencies, government departments, NGO providers, those with lived experience of suicide and the community have been working together to improve suicide prevention action and having an international expert like Rory O’Connor with us across the week will help to consolidate that work. “As our first Expert in Residence, we are excited to have Professor O’Connor deliver the keynote address on Understanding and Preventing Suicide at the Trevor Waring Memorial Lecture, where he will highlight knowledge from research and practice globally that we can put into action locally,” she said. The event will also include a panel discussion by Black Dog Institute Director, Helen Christensen, and Chair of the National Mental Health Commission, Lucy Brogden, who will share their knowledge and expertise on suicide prevention and current policy and practice in Australia.